Nothing warms you up better than a steaming bowl of good old goulash. Originally from the medieval Kingdom of Hungary, it is now a popular meal in Central and Eastern Europe. There are many variants, but mostly it comes as a soup or stew of meat (beef or pork) and vegetables, seasoned with paprika and other spices. 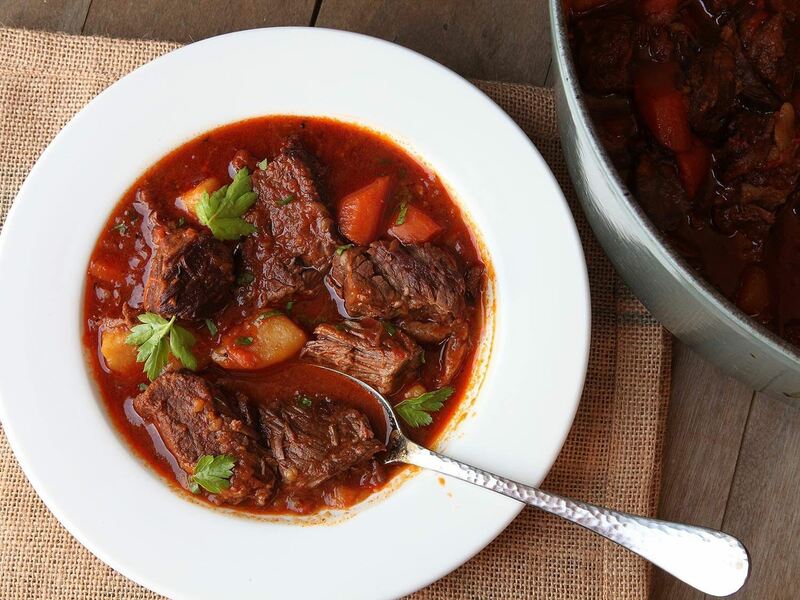 German Gulasch is usually served with potatoes in the north or dumplings in the south. Join DANK Haus chef Rita and learn how to make this delicious winter dish. It's not an easy feat as it has to be cooked slowly over low heat so as not to dry out the meat. But don't worry: Rita will let you in on her secret and teach you how to make the perfect goulash.